Trevecca Nazarene University’s social work program has become one of the key ways the University fulfills its mission to send servant leaders into the world. The Council on Social Work Education (CSWE) recently affirmed that goal by reaffirming the program’s accreditation last month. CSWE is the only accrediting organization in the United States for social work programs. Trevecca’s social work program first began working toward accreditation in 2010, receiving official accreditation in 2014. All accredited programs must be reaffirmed five years after the initial accreditation and then every eight years after that. The accreditation and reaffirmation process includes self-studies, site visits and reviews, a process Nunley shepherded the program through, including rewriting the self-study after a change of leadership at the program’s helm. Though the reaffirmation process was grueling and involved a lot of work, Nunley says the fall semester was a “sweet time” of camaraderie. To be accredited, a social program is evaluated to ensure that the curriculum teaches students the knowledge and skills to work in the field as well as measuring the students’ competency in those areas and proficiency in the field. Graduates of CSWE-accredited social work programs also have the benefit of receiving “advanced standing” when applied to master’s degree programs in social work. This allows students who have earned a bachelor’s degree in social work from an accredited program to complete a master’s degree in a shorter timeframe. That’s appealing to students like Callie Fuller, a junior social work major who served on the social work advisory council and was involved in Trevecca’s site visit during the reaffirmation process. 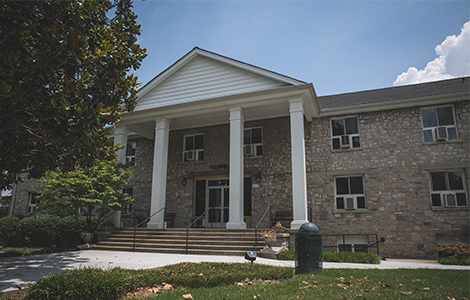 Nunley and Allison Buzard, Trevecca’s newly appointed social work program director, are excited by the achievement, and the site visitor’s report, which they say was “very affirming” of the program. But Fuller says the reaffirmation is a testament to the quality of the social work faculty members. “One of the biggest strengths of Trevecca’s social work program is the professors, who go out of their way to make sure all of the needs of their students are being met,” she said. “On top of this, the classes themselves have really forced me to challenge my old ways of thinking as we grapple with the issues of the world. Learn more about Trevecca’s social work program. Trevecca Nazarene University is a Christian university in the heart of Nashville focused on preparing students for lives of leadership and service. Founded in 1901, Trevecca is committed to holistic education, encouraging students to grow intellectually, socially, emotionally, physically and spiritually. U.S. News & World Report ranked Trevecca as a national university in the annual “2019 America’s Guide to Colleges,” making the University the only Nazarene institution to receive the national ranking. In 2016, the Carnegie Foundation classified Trevecca as a doctoral university, ranking it among the top 7 percent of schools nationwide. Located just one mile from thriving downtown Nashville, Trevecca offers classes at the main campus as well as four other locations across the Southeast and online classes offered worldwide. With students from 47 states and 25 countries, Trevecca offers 15 associate degrees, 83 undergraduate majors, 20 master’s programs, and two doctoral programs, as well as specialist and certificate programs.